If you decide to create a company in Australia, it is governed by the Corporations Act 2001 (Cth). If you have already created a company, you will have already heard of the Australian Securities & Investments Commission (ASIC), a regulatory body who administers the Corporations Act. In the eyes of the law, a register company is considered to be a legal person. This does not mean a living, breathing person, but a legal entity. A legal person has the capacity to hold property, to sue in its name and to be sued under Australian law. A company is a legal entity and accompanying this status is significant obligations and responsibilities. The business of a company is conducted by individuals, however the work is considered to be performed through the company. A company, also referred to as a corporation, is a useful tool that individuals conducting businesses use as a way to manage their business. For many, it is a useful legal strategy to transfer ownership of important assets to ensure that they are out of reach of creditors should a business later fail. It also offers certain tax privileges as well as limited liability for its directors and shareholders. You should seek legal advice before establishing a company to ensure you are fully aware of the legal responsibilities. There are two different types of companies which you may choose to create. The first is a Public company which offers securities such as stock or shares for sale to the public. It can also be listed on the stock exchange. The second type is a Proprietary company. A proprietary company must always have the word ‘proprietary’ or ‘Pty’ in its name. It can be limited by shares or be unlimited with share capital, but it cannot have more than 50 non-employee members. Whether a company also has ‘limited’ or ‘Ltd’ in its name reflects whether its members have limited or unlimited liability. If a company is limited, its members (also known as shareholders) have a limit for liability of debts which the company incurs. If a company does not have the word limited, its members incur unrestricted liability for its debts. All companies must have a name. You can choose whatever name you wish for your company within certain limitations. For example, words which cannot be used include university and trust. Whichever name you choose cannot be misleading, be offensive or suggest an illegal activity. It is acceptable to use an Australian Business Number as a company name. Regardless of which name you choose, the company name does not have to be the same as the trading name of the business. For example, your company may be called John Smith Pty Ltd, but you may trade as Smith & Associates Accountants. Under the Corporations Act there are certain positions which must be filled. A company must have at least one director. If you hold a position in a company, such as director or secretary, there are requirements under the Act which you are personally responsible to comply with. To be a director, you must be over the age of 18 years and ordinarily reside in Australia. Registering your company can be completed by sending the Application For Registration as an Australian Company to ASIC along with the application fee. Regardless of the state or territory in which you choose to register your company, it will be recognised throughout Australia and be able to conduct business and trade. Once your company is registered, you will be provided with an Australian Company Number (ACN) and a certificate which establishes that your company has come into existence. Once your company has come into existence, it will remain a legal entity until either you or ASIC deregisters the company. When a company is registered, it is listed on the ASIC database. Any member of the public is entitled to search for a company name and view any information which the company is required to provide to ASIC under the Act. When a company becomes deregistered, it is no longer recorded on the ASIC database. This has significant legal consequences as the company is unable to trade or undertake any action. One such provision which ASIC may use to deregister your company is section 601AB of the Act. This section reads as follows. (c) ASIC has no reason to believe that the company is carrying on business. (1A) ASIC may also decide to deregister a company if the company’s review fee in respect of a review date has not been paid in full at least 12 months after the due date for payment. property to cover the costs of obtaining a Court order for the company’s deregistration. (a) to the company, and to the company’s liquidator (if any), and to the company’s directors, and on ASIC database, and in the Gazette. When 2 months have passed since the Gazette notice, ASIC may deregister the company. (4) ASIC does not have to give a person notice under subsection (3) if ASIC does not have the necessary information about the person’s identity or address. This is not the only section which ASIC may use to deregister your company. Section 601AB may be used by ASIC if you fail to lodge required documents within prescribed time limits. Every company that is registered with ASIC must provide a registered office. This is where ASIC will send all correspondence regarding your company. If you do not keep ASIC updated as to the most recent registered address, you may find that you miss crucial letters and fail to meet your reporting obligations under the Act. For example, if you have recently moved interstate and do not update ASIC with a new address, you may find that important letters regarding the status of your company go unnoticed. Failing to respond to these letters and lodging the appropriate documents will lead ASIC to take action against your company and remove it from the register of companies. Such a simple oversight may have serious consequences for your business and you should remain vigilant and alert to all of your responsibilities under the Act. To regain registered status with ASIC, the company must be reinstated. A company can be reinstated through two different methods. The first is through an application to ASIC if the circumstances surrounding your company meet the reinstatement criteria. If your company does not meet these criteria, you can apply to the court for an order that ASIC must reinstate your company. The first step in becoming reinstated is to complete the Application for ASIC Reinstatement form as well as other documents required by ASIC which include a statutory declaration. You must also pay all outstanding annual review fees, late review and late lodgement fees in full, as well as any penalty issued. There is also a prescribed fee that must be paid when lodging the application for reinstatement. The application is then reviewed by ASIC which will take between 14 and 28 days to process. ASIC will reinstate the registration of a company if it is satisfied that it should not have been deregistered. You must provide relevant facts to support your case for reinstatement. To establish what outstanding fees may be payable to ensure that your company can be reinstated, you can call ASIC on 1300 300 630 and the information will be sent via email or post within 10 business days. If the ASIC criteria for an application of reinstatement cannot be met, an application must be made for a court which compels ASIC to reinstate your company. This application must be made either to the Federal Court of Australia, or your state or territory Supreme Court. A Court application can be made not only by the company members, but also by creditors, former liquidators or other bodies taking legal action against the company. You must satisfy the court of reasons why your company should be reinstated. The court may make an order validating any acts which your company took between its deregistration and reinstatement. If your company is reinstated, it is taken to have never been deregistered. All existing company officers are restored to their roles from the date your company was deregistered. If you company is not reinstated, you cannot trade under its name because it is not registered. Any remaining company assets are then controlled by ASIC and may be sold or redeemed as the company no longer exists. There are serious consequences for failing to comply with the requirements of the Corporations Act. Companies provide some protection for its members, directors and officers as it is the company which is legally liable for any actions. 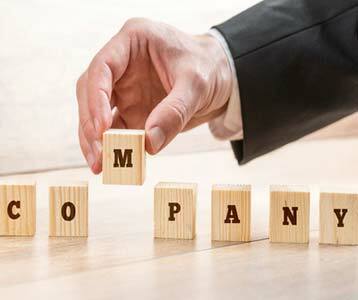 However you cannot always hide behind the company as a legal entity, as there are circumstances when individuals, other companies and corporate regulators can look past the company and pursue the individuals which control it. Should you be concerned about either yourself or your company’s legal liabilities and responsibilities, you should contact an experienced legal practitioner.